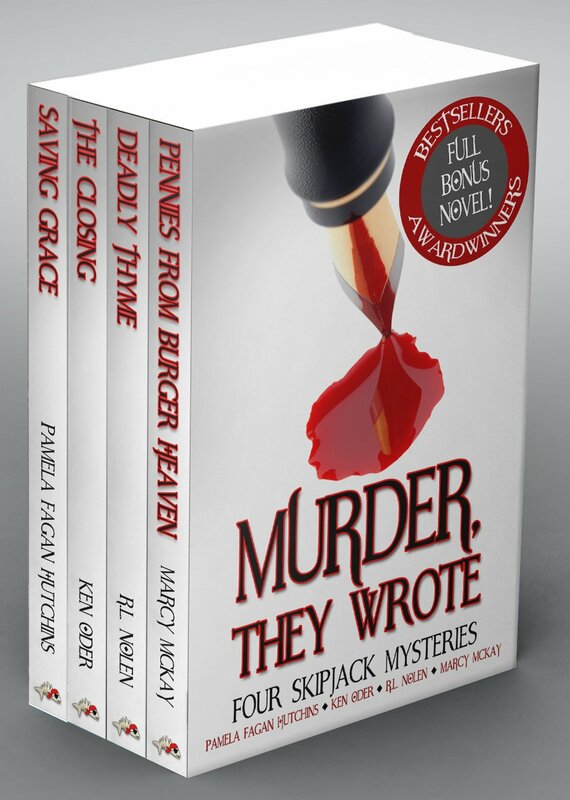 *Murder, They Wrote: Four SkipJack Mysteries by Pamela Fagan Hutchins, Ken Oder, R.L. Nolen, Marcy McKay. Price: Free. Genre: Mystery Box Set, Sponsor, Amateur Sleuths, Suspense. Rated: 4.5 stars on 4 Reviews. ASIN: B019YGWC8I. Reviewers like it: A powerful mystery collection! This is a collection of authors that will give readers something they have never read before! It has everything a terrific mystery book should have! Incredible page turners! I am so glad I read them, I recommended them to all my friends! Lucy’s Money (The Lucy Ripken Mysteries Book 4) by J.J. Henderson. Price: Free. Genre: International Mystery & Crime, Amateur Sleuths, Women Sleuths. Rated: 4.3 stars on 6 Reviews. 176 pages. ASIN: B017N4X6I8. Detective Danny Acuff, Books 1-3 by Stan R. Mitchell. Price: Free. Genre: Cozy Mystery, Police Procedurals. Rated: 5 stars on 6 Reviews. 193 pages. ASIN: B01BYT6HIY.